Hula anyone? Our 36" flower leis are perfect for a luau or summertime events and parties. Add your logo to the plastic, 2 1/2" medallion and really get noticed. 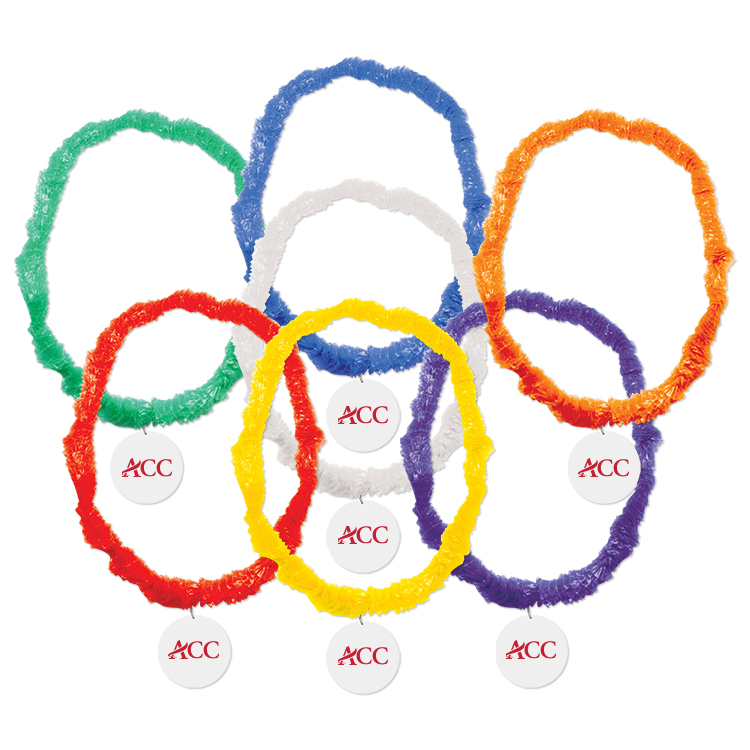 A perfect promotional product to hand out during a festival, parade or charity event. An ideal promotional product for hotels, travel agencies and trade shows. Assorted colors from which to choose. Also available as a blank product.